After aromatic Plov Festival that was recently held in the capital city, now Baku prepares for another delicious festival, putting on display one of the most popular national dishes -- Dolma. 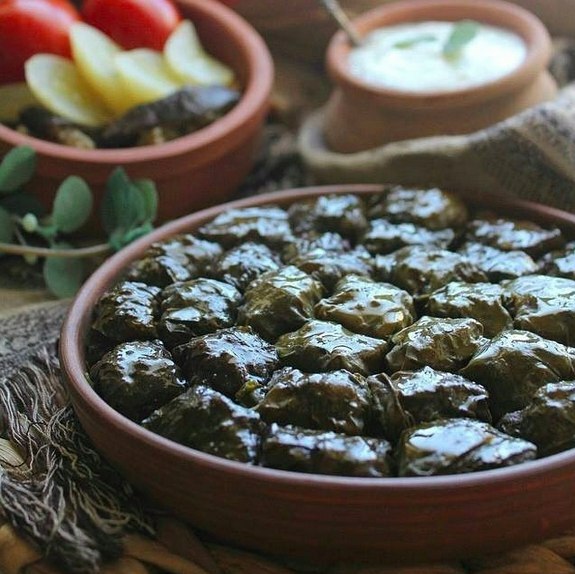 The International Dolma Festival scheduled for July will be organized by the Azerbaijani Culture and Tourism Ministry, National Culinary Center, Azerbaijani National Culinary Association and Absheron District Executive Power. The Culinary Center said that preparations for the festival are underway. Besides the Turkic-speaking countries, guests from around the world will take part in the international festival. Director General of the Azerbaijan National Cuisine Center, Tahir Amiraslanov said that the festival will feature almost 300 species of Dolma. The most common type of dish in Azerbaijan, dolma has about 50 species in the country. Dolma is a traditional meal in the Land of Fire that no Azerbaijani can imagine living without. It is the number one guest of all feasts along with rich flavored Plov. This stuffed meal is widely prepared in kitchens across the Middle East, the Balkans, the Caucasus, Russia and Central Asia. However, in Azerbaijan dolma is iconic, you can meet it at every table not only during the traditional holiday, but also on ordinary days. The name of this delicious dish came from the process of its creation, and means to stuff. There are many varieties of this dish, including vitamin full vegetables. In spring, when many fresh grape leaves appear - the main product for making dolma. Summer brings aubergines, tomatoes, peppers and cucumbers to stuff. In autumn dolma is made out of cabbage leaves, apple and quince. During the cold winters, it is made of preserved grape leaves. The filling is also diverse, but dolma is basically prepared from meat, rice and aromatic herbs. Dolma is best served with cold plain yogurt, and lavash bread.